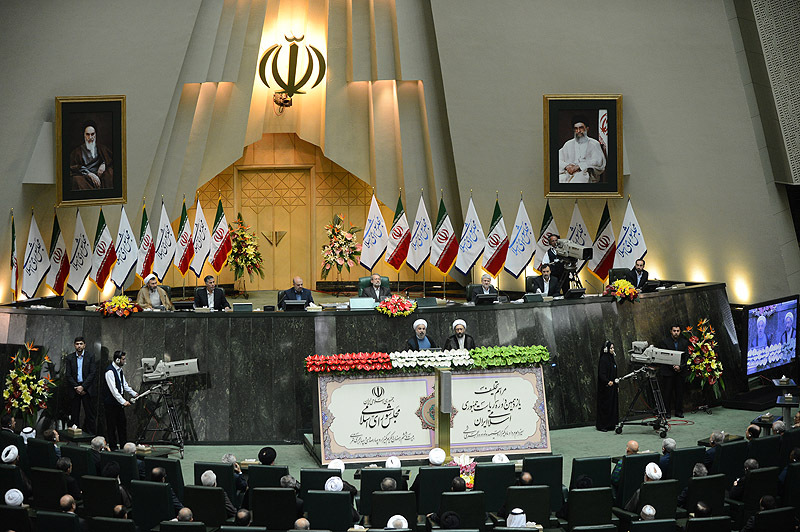 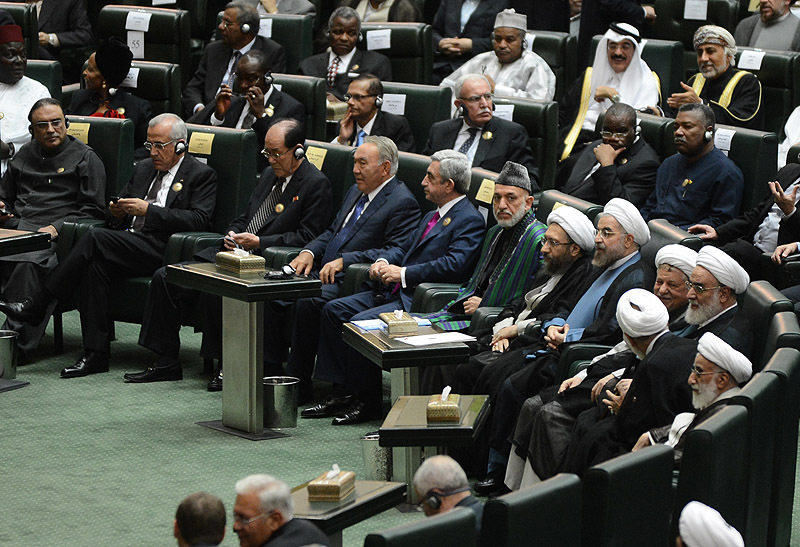 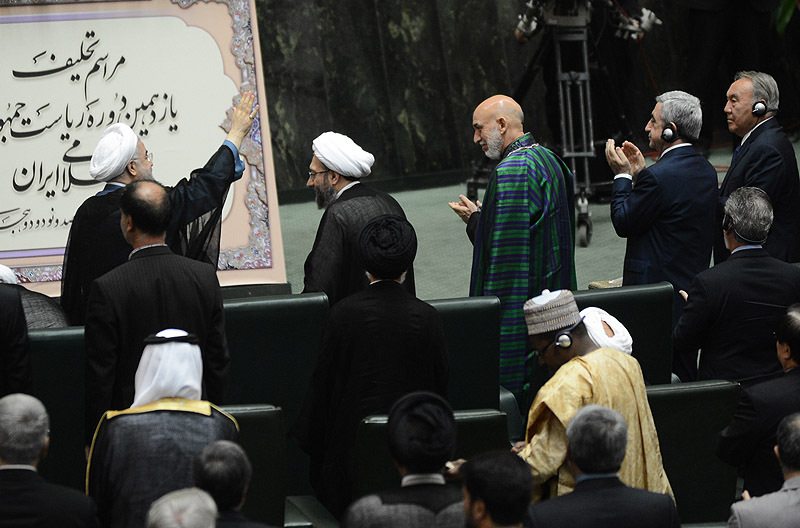 President Serzh Sargsyan, who has arrived to the Islamic Republic of Iran, on August 4 participated at the inauguration ceremony of the President-Elect Hasan Rouhani. 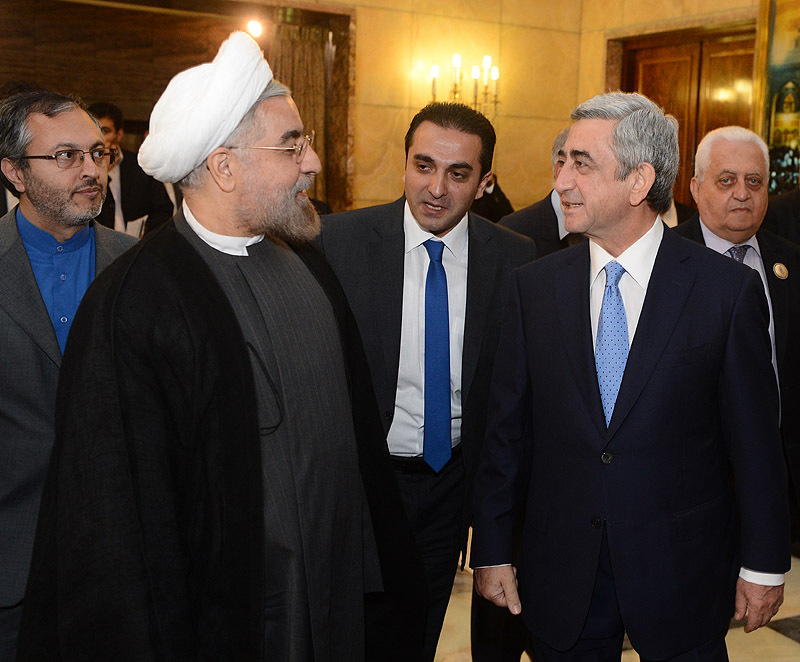 In the evening, Serzh Sargsyan participated at the reception hosted by the President of Iran in honor of the participants of the ceremony of inauguration. 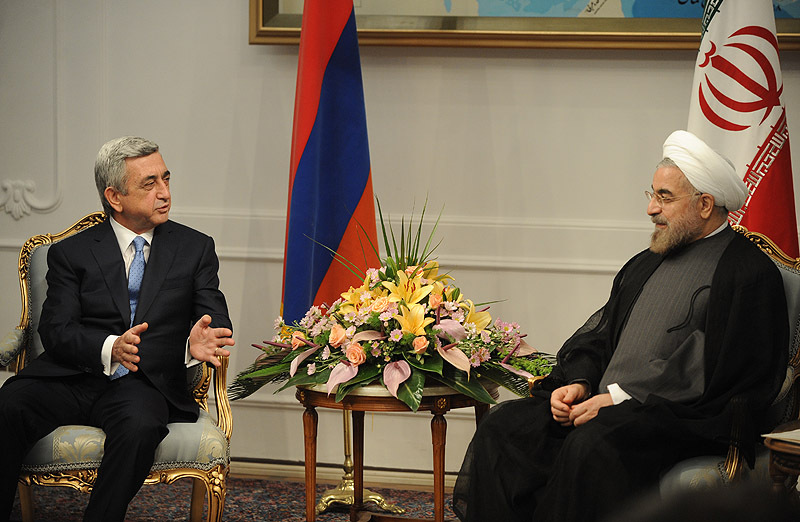 President Serzh Sargsyan in Tehran met on August 5 with the newly-elected President of Iran Hasan Rouhani. 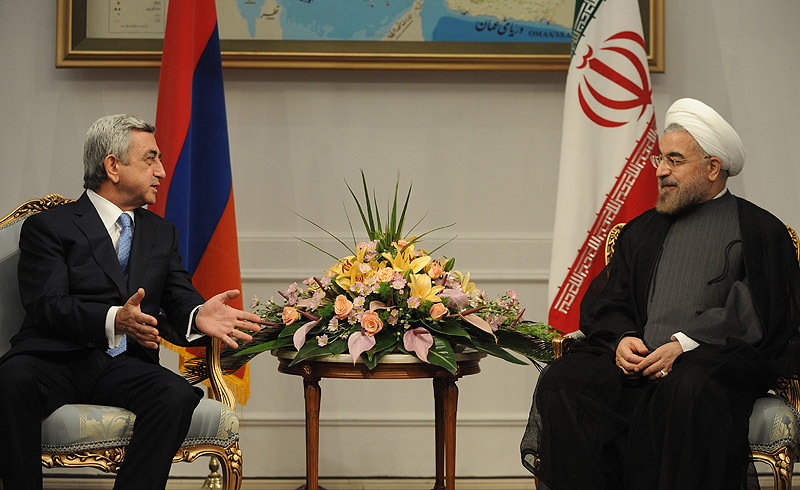 At the beginning of the meeting, the President of Iran expressed gratitude to President Serzh Sargsyan for accepting the invitation and bringing his participation to the ceremony of inauguration. 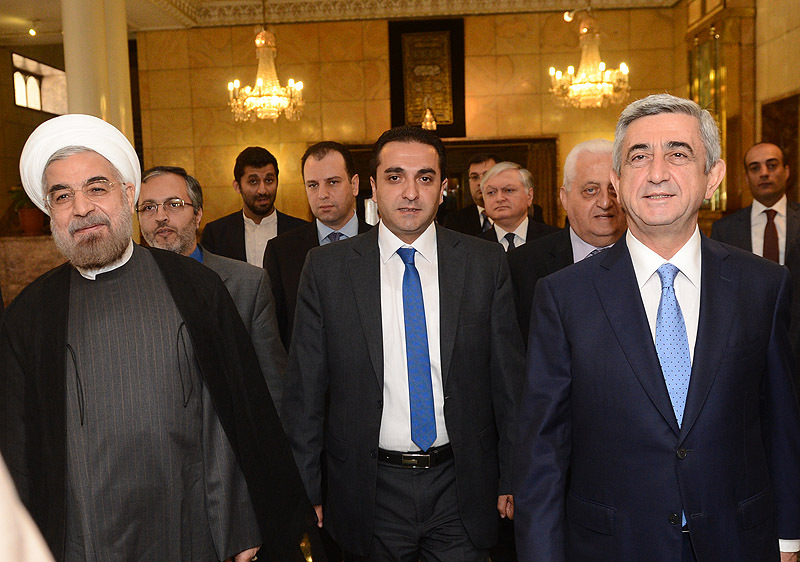 Serzh Sargsyan once again congratulated Hasan Rouhani on his election as President of Iran and wished him productive work and recurring success on this high and responsible position. 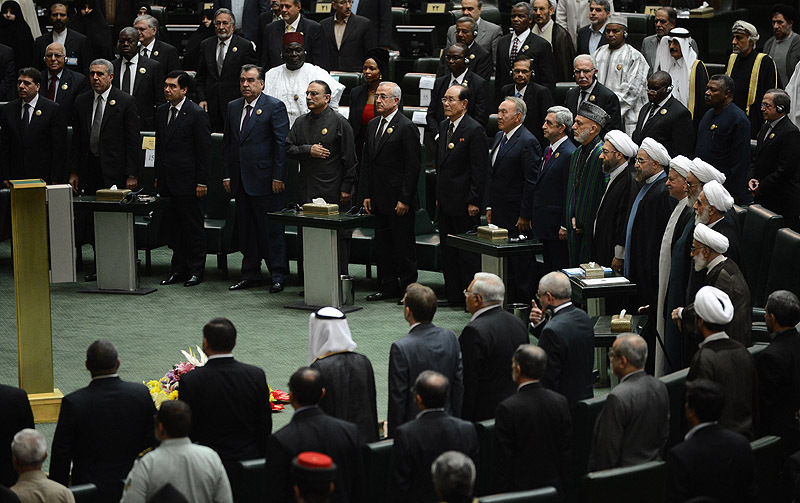 At the meeting, the Presidents of the two countries discussed a wide range of issues pertinent to the bilateral as well as multilateral issues. 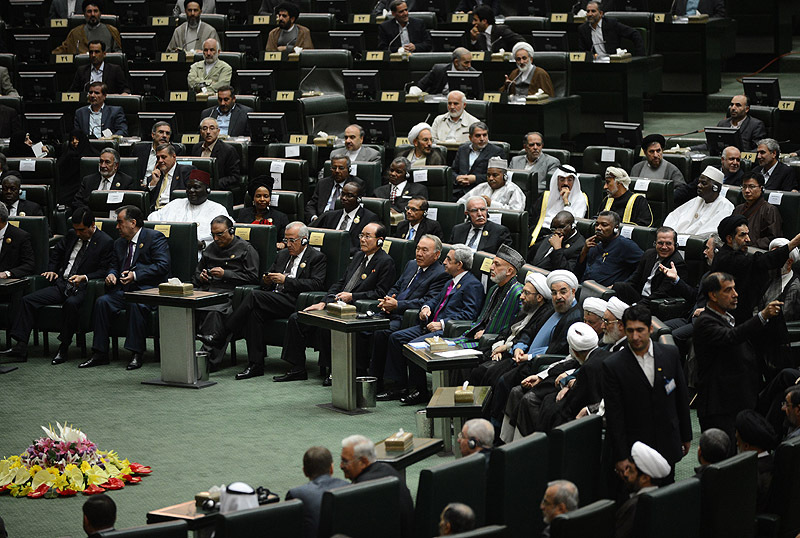 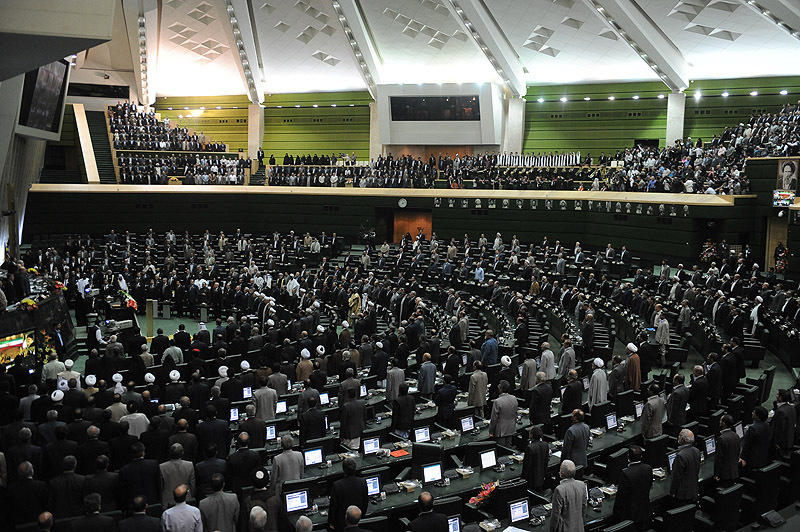 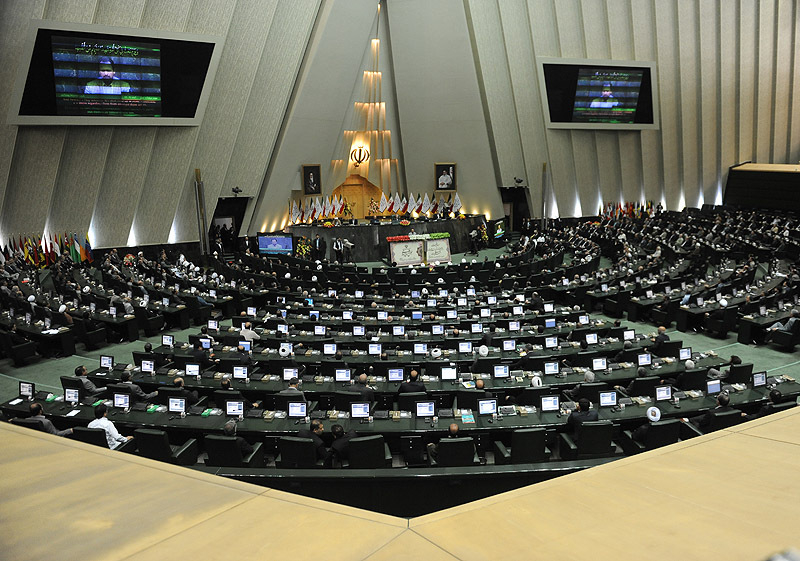 The parties underscored that the agenda of the Armenian-Iranian cooperation is pretty extensive and testifies to the implementation of a number of major projects. 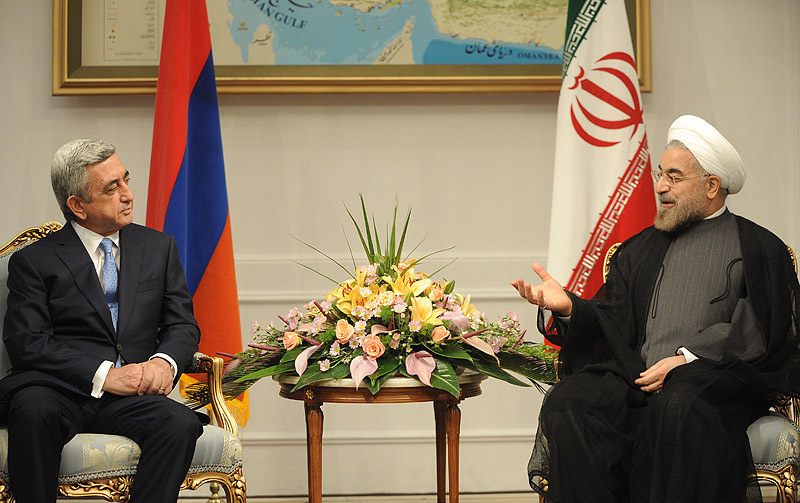 Expressing satisfaction with the high level of the mutually beneficial cooperation based on the ages-long traditionally friendly relations between Armenia and Iran, Presidents Serzh Sargsyan and Hasan Rouhani stressed that it is necessary to elevate the cooperation to a new, higher level. 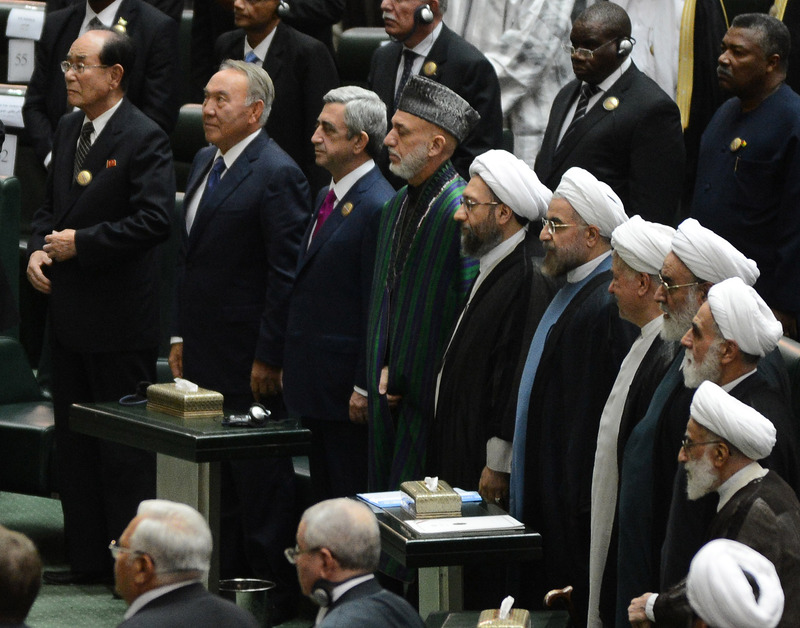 The interlocutors spoke also about regional issues, particularly, the current stage of the NK peace process. 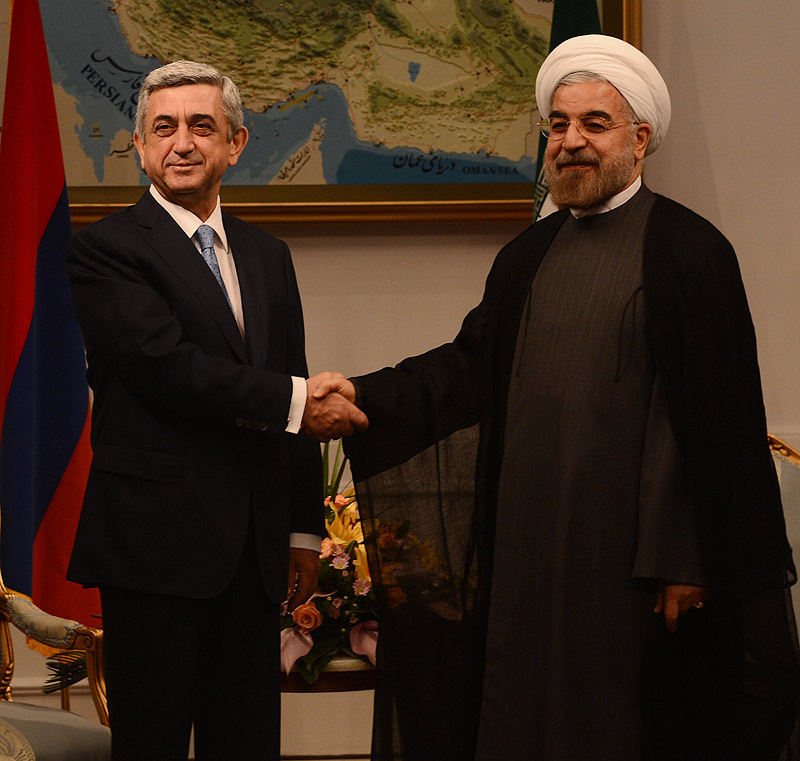 Presidents Serzh Sargsyan and Hasan Rouhani recalled warmly the meetings held in their capacity as the Secretaries of National Security of their respective countries and expressed readiness to work in the same vein for the deepening of the Armenian-Iranian cooperation.